9 week old german sheperd health problems. HELP! so i recently got a German shepherd 6 days ago. the owner of the puppy said there is nothing wrong with her all she gave me was her shots record and left. i got her from craigslist.com. Ive been trying to potty train her starting yesterday night but i don't know what happened after last night and all of her crying she hasn't eaten anything the next day she looks skinny and she used to be very active and playful but now she just lays down or sleeps. help me please. Total German Shepherd: First of all congratulations on getting your new German Shepherd puppy. Your puppy will cry the first few days until she gets used to her new surroundings. That's normal - she misses her mom and her litter mates and her old home. Just imagine if you were yanked up out of your home and then suddenly dropped into a new place without friends, family or anything familiar - you'd be upset too. 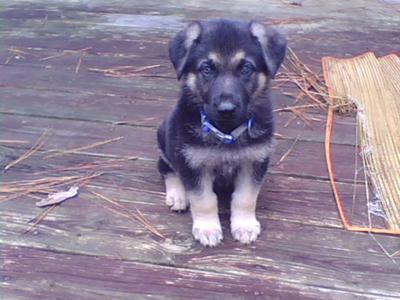 The very first thing I would encourage you to do is get that GSD puppy to a veterinarian asap for a complete checkup. Make sure that your German Shepherd puppy is in good health - or if not find out what you need to do based on your veterinarians advice to get the puppy feeling better. Next, I would advise you to get signed up for a dog training class - for both of you. Plus going through this process will help grow your bond even tighter. 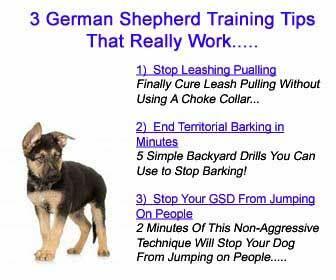 Plus it will help you to understand your German Shepherd puppy better and also how to react to any problems or issues that may arise now or in the future. Good luck with your new German Shepherd puppy!